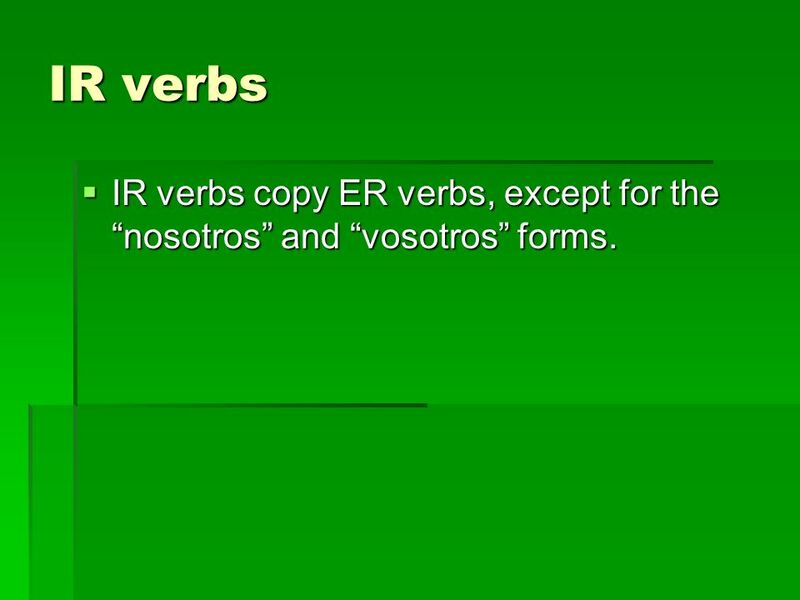 4 IR verbs IR verbs copy ER verbs, except for the “nosotros” and “vosotros” forms. 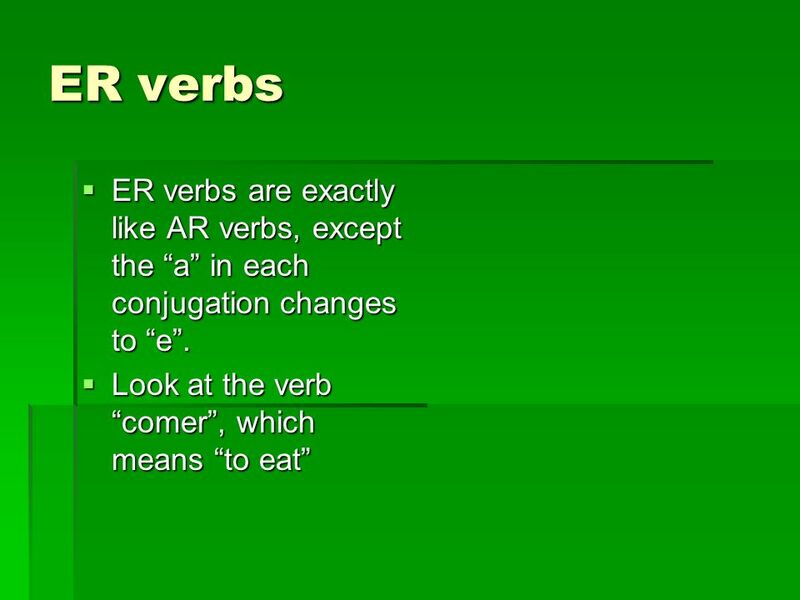 Descargar ppt "ER and IR verbs." 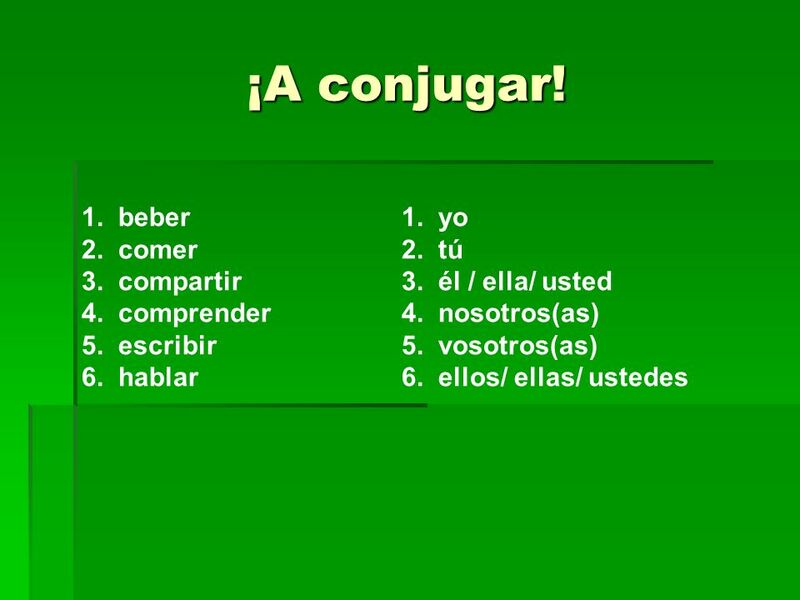 Conjugate regular –ir infinitives in the present tense Vamos aprender Con el Sr. Correa. 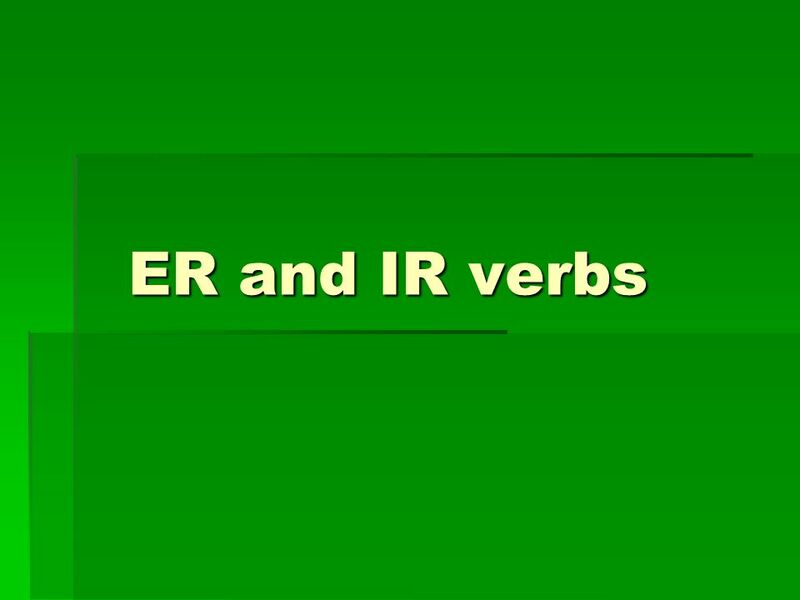 -er & ir verbs Remember how to conjugate?... 1) Take off the last two letters 2) Add the ending. Stem-Changing Verbs Stem of verb remains when ending is removed hablar – to talk, to speak habl These are verbs that have spelling changes in the stem. 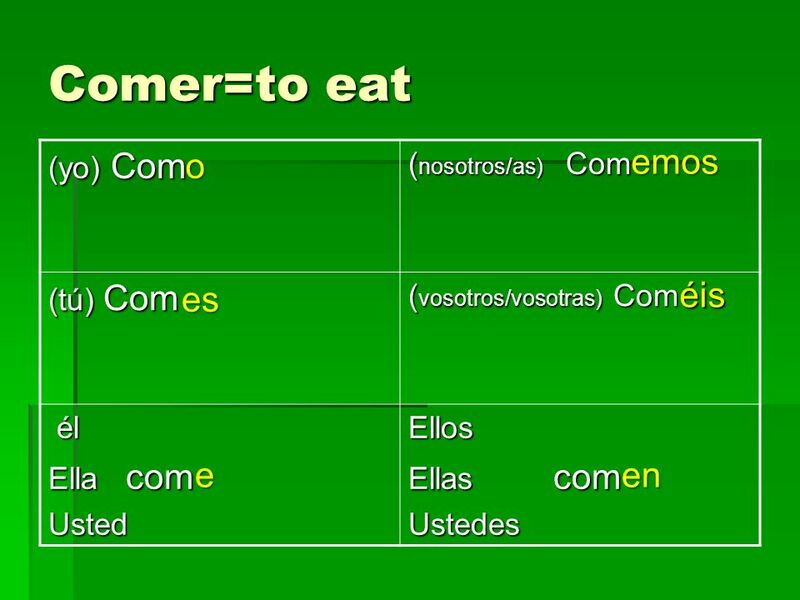 Gustar + noun & -ER, -IR verbs Gramática 3.1. 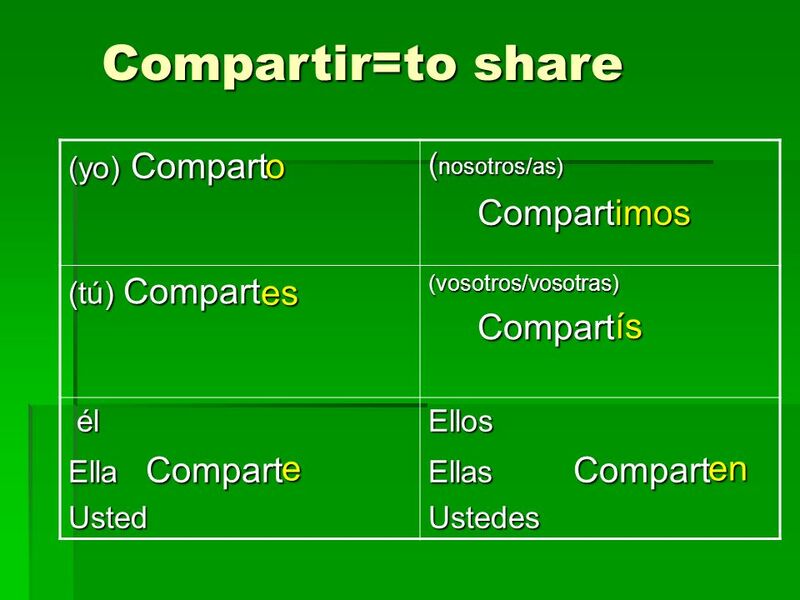 Gustar = to like, to be pleasing (singular) If what is liked is singular use ___ + gusta – Me gusta – Te.